Tony's thoughts on things to think about. 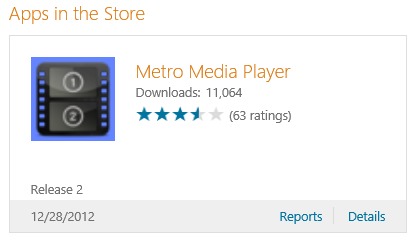 December 19, 2012 – After a long and arduous journey, Metro Media Player was finally published to the Windows App store for Windows 8. I began writing Metro Media Player back in Nov of 2011. While I didn’t actually spend a year developing it, the app did spend a long time in incubation. I was furiously coding away during Oct-Dec 2012 trying to polish it and prepare it for release. The default video app is fine, but it is laced with content for sale. I also don’t like the way it and other media player apps overlay the timeline and a big pause button in the middle of the screen. I prefer to have those controls reachable with my thumbs and placed on an app bar that can slide out of view or won’t obstruct the screen when in view. The fat pause button makes for horrible screen shots! I was spending a lot of time watching training videos from MSDN Channel 9 but found that the training moved too slowly. So I quickly created the framework that would eventually become Metro Media Player giving it the ability to adjust the rate of playback. I found that I could easily keep up with most presenters at 1.75x to 2.0x speed. This increased my productivity immensely. In fact, I began watching all my content this way. Where I could, I would download or DVR my TV shows and watch them in fast motion. After a while, I became so used to consuming content in fast motion that I was having trouble listening to people in real life. I kept wishing there was a rate adjuster for meetings, conversations, lectures, etc. 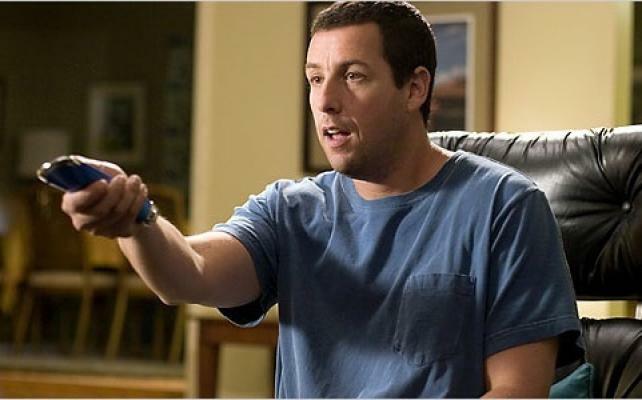 I could sympathize with Adam Sandler in the movie click. 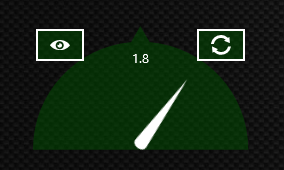 The rate adjustment control would become the core feature in Metro Media Player. I never intended to release the app publically, figuring that others would do as I had done and wrap a nice user interface around the built in media control provided by Microsoft. But as months transpired and no decent media player apps appeared in the store, I became more restless. My friends encouraged me to polish up MMP and submit it to the store. I actually spent a great deal of time considering the user interface. The temptation was to jump in and make a content rich app like others in the store with scrolling images of your local files, but I resisted the urge and tried to keep things simple. Besides, I am always embarrassed when the video I shot with my webcam comes up with my ugly mug front and center in those apps. Discrete works better for me. The primary controls of Metro Media Player are placed within thumb-reach to allow natural use when holding a tablet. The timeline scrubs nicely when dragging. It also responds to mouse, keyboard shortcuts and even a media center remote control. Finally, in Oct 2012 I decided to do it. I decided to release it because I was unhappy with the media player apps in the store. In fact, I had a general disdain for many of the apps in the store. It was appalling to see the number of apps that were using the default “X” template icon for the live tile. How did those get approved? I took action. I was ready to release to the app store by Oct 13, 2012. I submitted it to the store and waited. Six days later, the bad news came…My app had been rejected. Although it has passed all the technical tests, the content certification from a human reviewer decided that it wasn’t ready for release. The app would be rejected 8 times. It wasn’t all bad, however. It forced me to rethink how to present the UI to the user. During those 8 re-submissions, I kept refining and reworking the application including the addition of a built in help file to explain some of the nuances of using the application. The primary hang-up centered around one particular feature: Background Audio. In Windows 8 (Metro Apps) when you switch away from an app, it drops into a suspend mode. Normally, this is ok, but with media apps you may want to load a video and switch to another app while you continue listening. To enable this, you use a background task commonly referred to as Background Audio. Unfortunately, there are still some bugs in the Microsoft framework that come back to bite you from time to time. One of those bugs is related to Background Audio, particularly on ARM devices such as the Surface RT. We fought through those challenges and finally decided that the only course of action was to remove the feature from the ARM version until the bugs are fixed in Windows. Finally, the app was approved for the store (sans Background Audio). People kept asking me what I intended to charge for the app. Frankly, I hadn’t really thought about it. The goal to develop it wasn’t based on financial considerations. I had written it for myself and was sharing it at the encouragement of my friends. I was personally in it for the experience of writing and publishing an app through the Windows Store. I decided to give the app away for free, perhaps to the chagrin of my family. I had considered an advertisement supported model, but thought it would be too intrusive and decided against it. It is free. It will remain free. I hope others will enjoy it as much as I have. I have been amazed at the number of downloads it has received in such a short time. 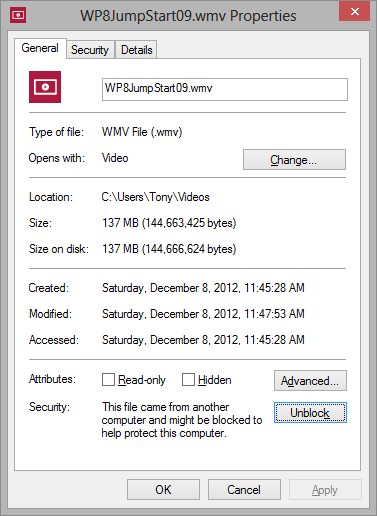 In the span of approximately 10 days, it has been downloaded 11,064 times. It has been rated 63 times with an average rating of 3.7 stars. I am happy the app has been well received. I’m exactly $0 richer because of it, but it is gratifying when people express their appreciation. I must admit, I am surprised at the dichotomy of responses I get. 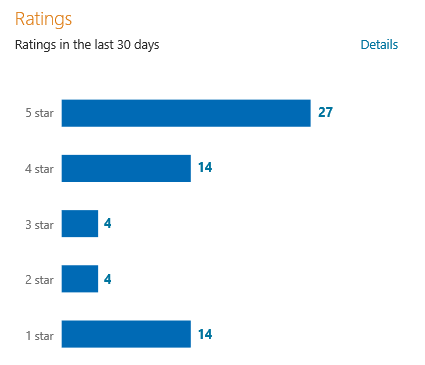 People either love the app and rate it with 4 or 5 stars, or they hate it and give it 1 star. Not much middle ground there. In the app description, I clearly state that it does not yet support MKV file formats, yet most of the 1 star ratings it has received have been associated with reviews criticizing it for not supporting MKV. Incidentally, I’ve decided that people in Australia, China, Hong Kong and Germany are the nicest when it comes to praising the app. The United States and Canada are harshly critical. Did I mention it is a free app? It seems that more people who rate the app poorly tend to voice their opinions in ratings than do people who are happy with it. This seems to have an interesting affect on adoption rate. I’ve noticed in regions that have posted positive reviews that the adoption rate for downloads vs. page views is significantly higher than in regions which post harshly negative reviews. Overall, adoption rate is hovering around 44.6%. If you noticed in the graph above, the second largest slice for referrers is from www.klonworks.com. 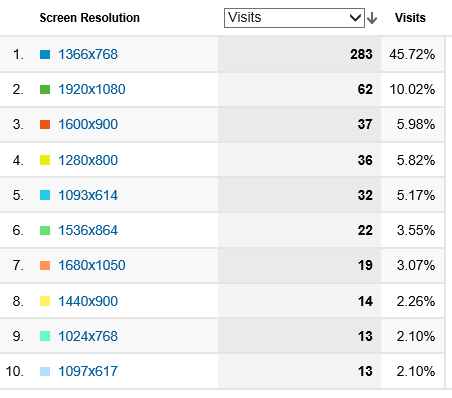 Interestingly, people aren’t really finding the app by navigating to my website first. Rather, they seem to read about the app in the store, then click on the link that directs them to the “publisher’s website”. 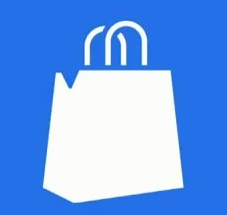 If they then click back to the store by selecting the link on my website, it shows the users as having arrived at the store with my website as the referrer. Backwards, but whatever. I took a look at the statistics on my klonworks website to see what changes have been happening. Here is the trend line. Notice the bump beginning Dec 22. It has also managed to swing the statistics well into favor for Internet Explorer, particularly IE 10. Finally, screen resolution is interesting. With Windows 8 tablets, we are seeing a dramatic shift toward 1366 x 768 resolution screens, followed closely by 1920 x 1080. I imagine that over time, 1920 x 1080 will take over but it may be a year or two away. 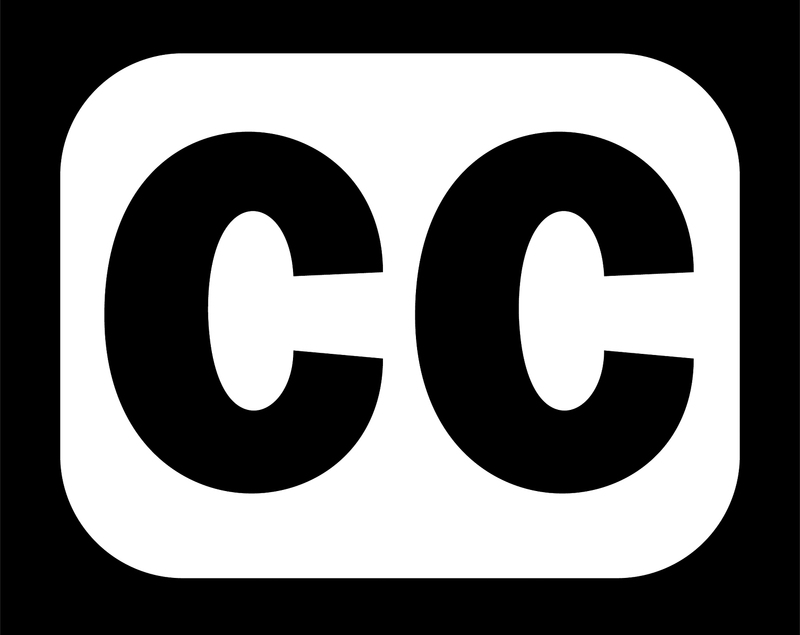 There are still features I would like to add to the player such as support for closed captioning, or subtitles. I have the core code already in place for the feature, but I need to finish some UI work to make it easy to use. 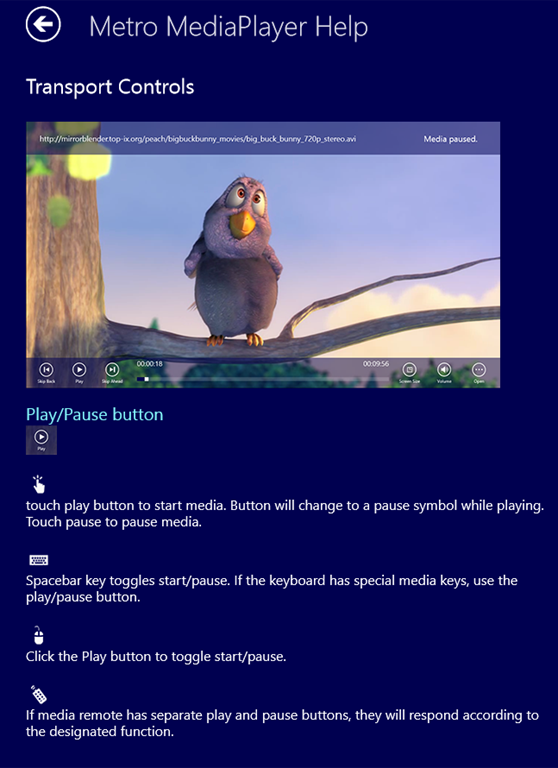 I would also like to update the app (when the Windows bugs are fixed) to support Background Audio on ARM. I did a separate update release for Intel processors and put Background Audio back into the app. File association launching is still unreliable. Again, this is another active bug that I have been following in the Microsoft forums that I would like to see fixed. Additionally, it seems to struggle with files that have been downloaded from the internet and have a special block on them. If you right click the file, select properties this dialog box will appear. At the bottom, you may see a section labeled “Security:” with a sentence that reads: “This file came from another computer and might be blocked to help protect this computer.” These files seem to fail consistently with File association launching…boo! Playlists are another feature I would like to add. To be honest, MMP isn’t very good for listening to my music collection. It requires me to load each song individually. That isn’t a great experience. I have code already in place to support playlists, but again the user experience needs to be designed to determine how to present the playlists, how to create and manage playlists in the application. Are there features you would like to see? Shoot me an email and let me know. support@klonworks.com. I have ideas for about 35 different applications that I am toying with, but I think the next application will probably be something fun, like a casual game. I’ve already picked a name: Kazu! This entry was posted in Code, windows 8, Windows 8 Apps by mobiletonster. Bookmark the permalink. After reading this I am going to download this app now. I love your app. Clean, simple, and easy to use. Nice work! I just installed the app and find it to be well thought out, definitely a lot of care beyond the work has gone into this app. This blog post just reinforces that. Love the post and the story from creation to publish. I’m keeping this player on my system and giving it high marks but most of my files are MKV so it would definitely be a nice feature addition. I think it would make it THEY media player in the store. Not sure if it would be portable but would love to also see this this app on Windows Phone 8 as well! I hope you aren’t taking the negative comments personally. It’s true that a lot of people voice displeasure over satisfaction. Low rating the App because it doesn’t support MKV just isn’t fair but just wanted to say, there’s one guy out there that thinks you did an awesome job and thanks you for it! do you plan a new release soon ? Yes. I am working on a release for windows 8.1. Followed the path you mentioned above, i.e. Store > Publisher’s Site > Store (since I really enjoyed this post!) Would love to try this but unsure since I have a Surface RT – has the background audio issue been fixed in 8.1 and the app updated accordingly? 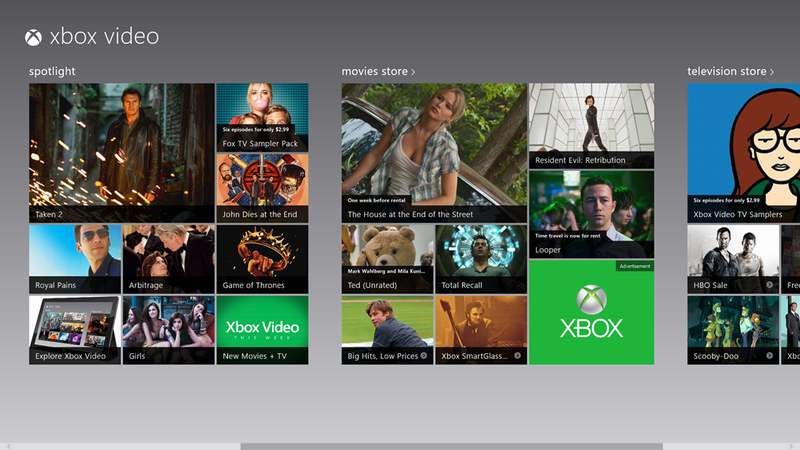 The default XBox Music/Video apps seem to have no problems with this anymore, so I’m guessing MMP shouldn’t either. A year after launch and I’m *still* on the lookout for a good stable media player that can handle AVI/MP4/MKV (with SRT and SUB+IDX subs) plus MP3/FLAC, besides all that the XBox apps can play. Donated to VLC but have given up all hope now for a Windows RT app. 😦 If MMP could handle these it would be perfect, but I guess that’s a bit too much to ask.